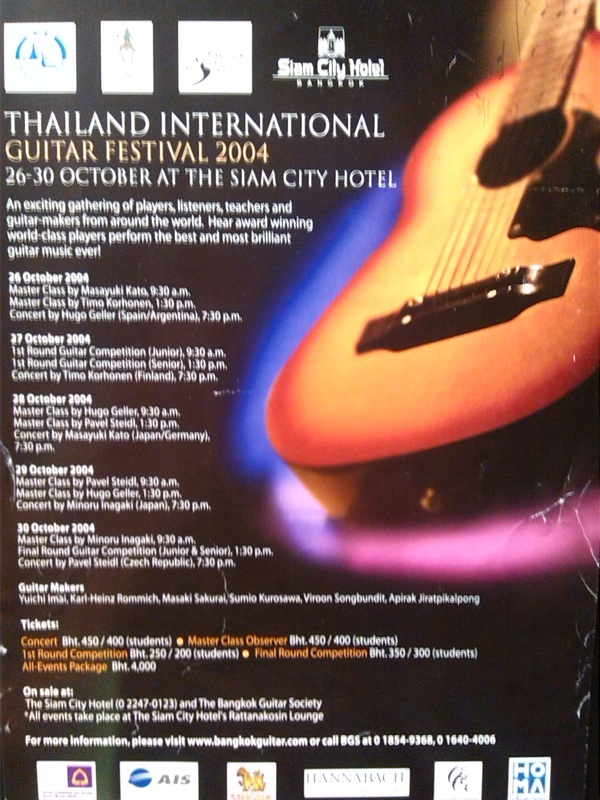 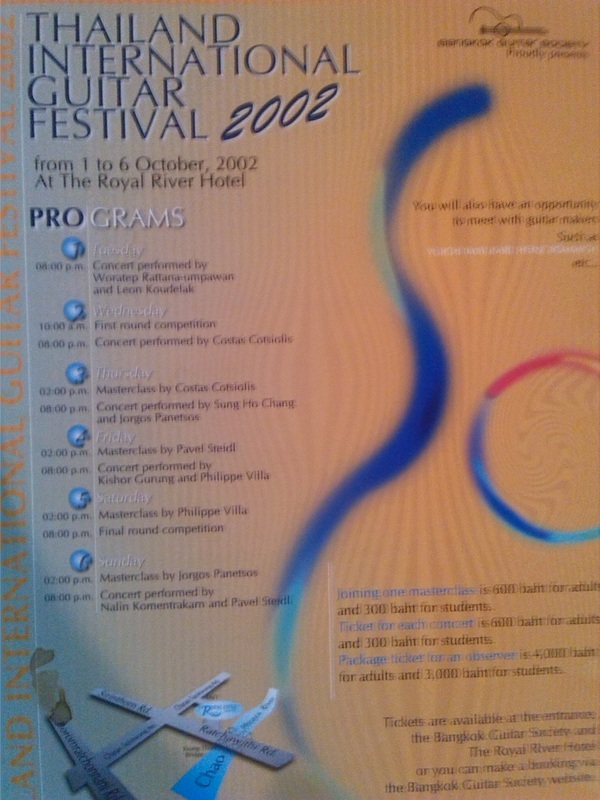 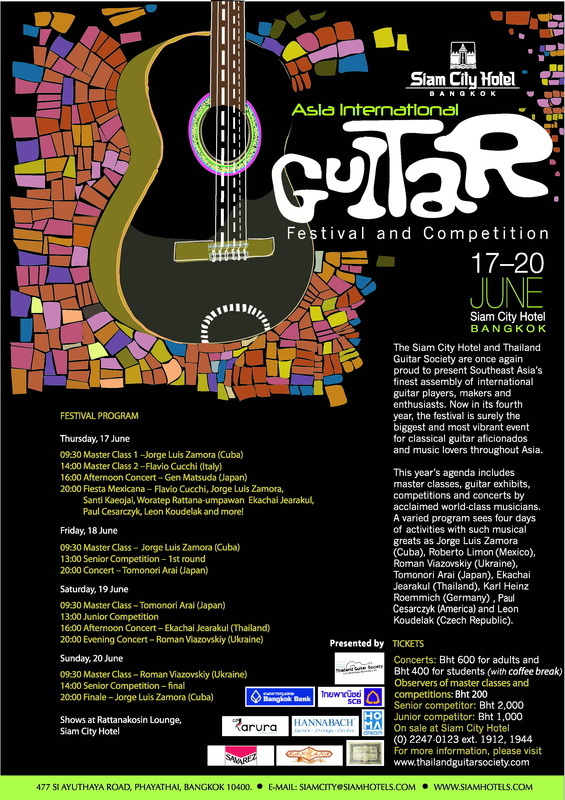 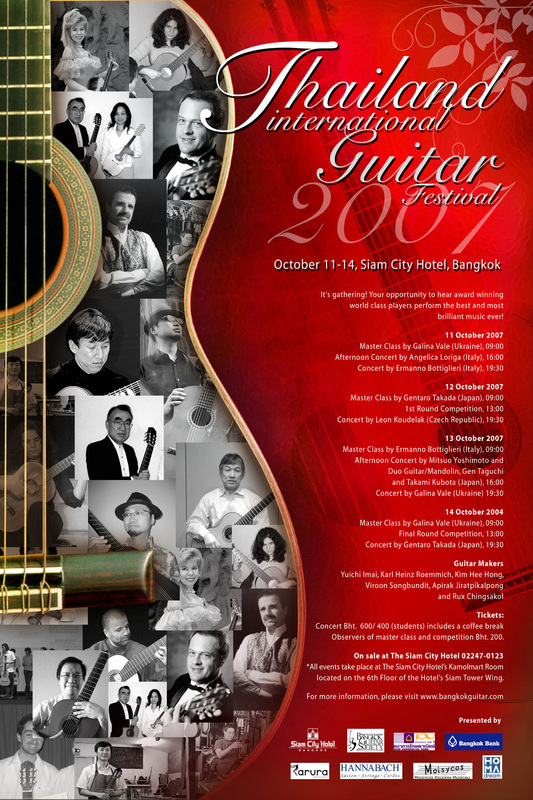 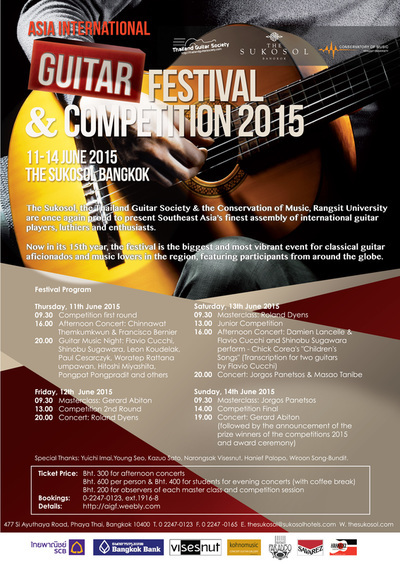 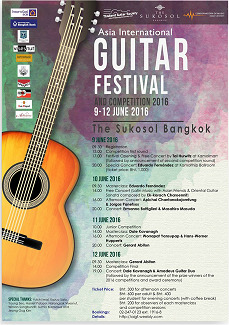 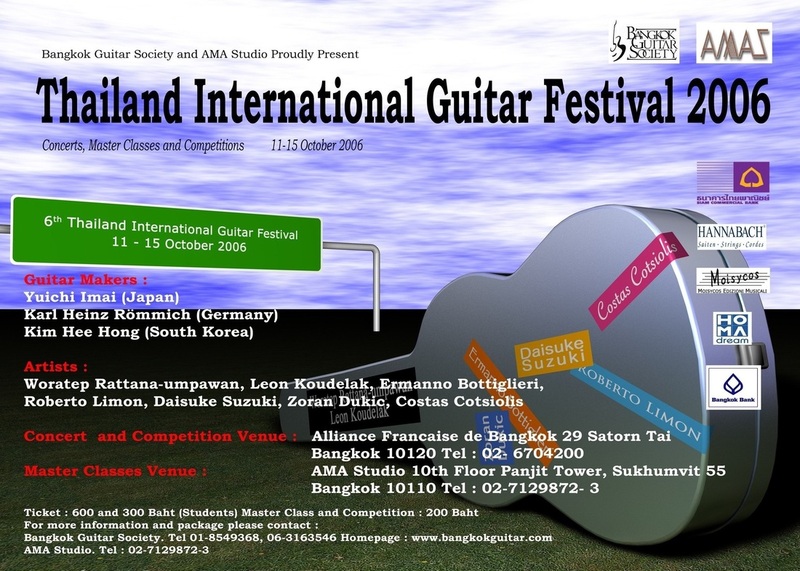 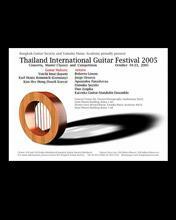 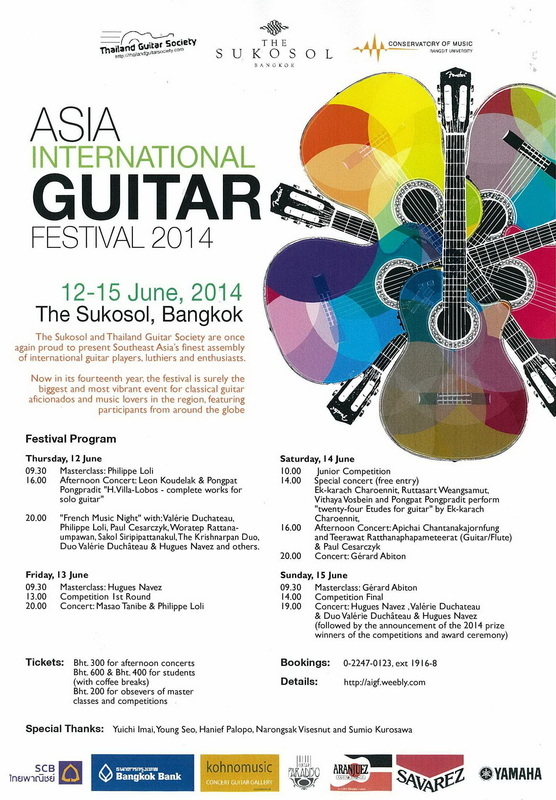 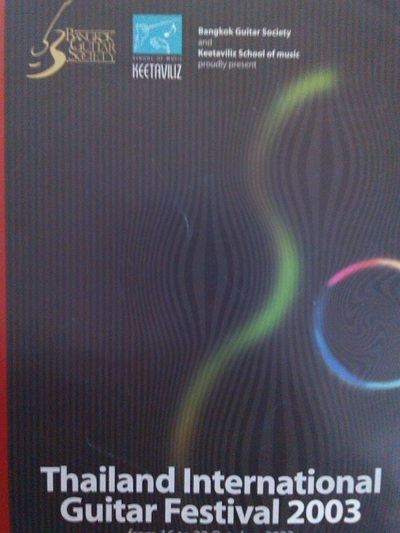 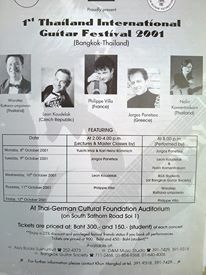 The International Guitar Festival in Bangkok was found 2001 by Woratep Rattana-umpawan and Leon Koudelak. From beginning, the festival had the title "Thailand International Guitar Festival" and was hold annually in October. 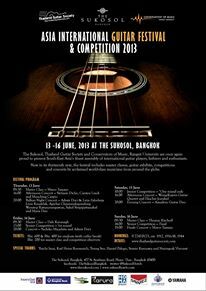 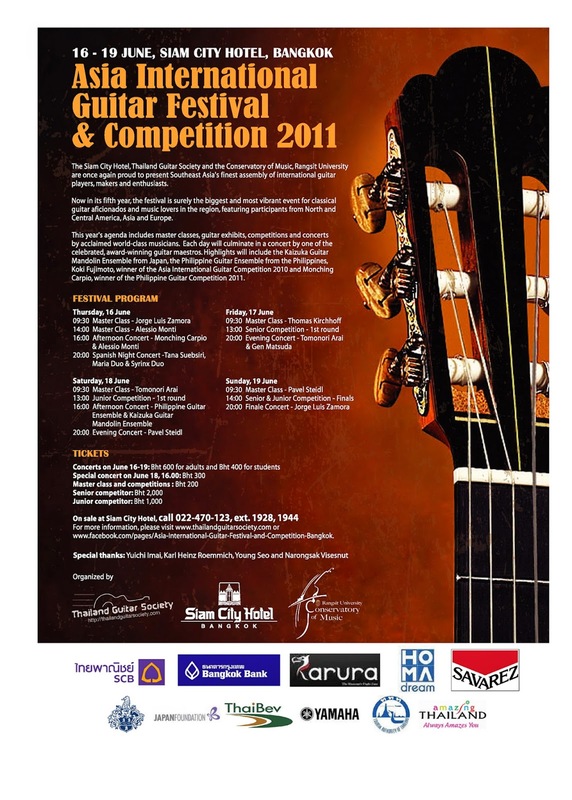 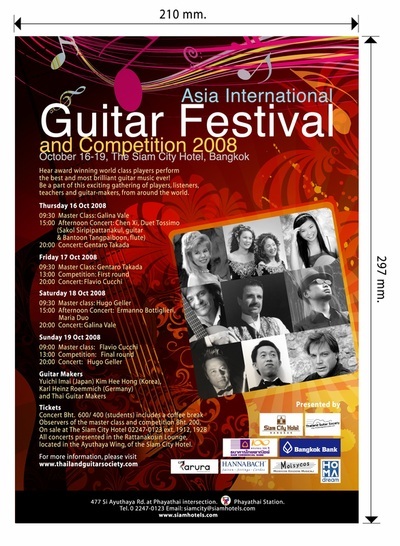 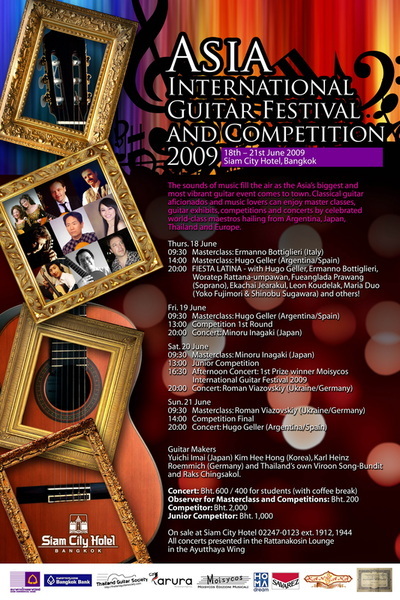 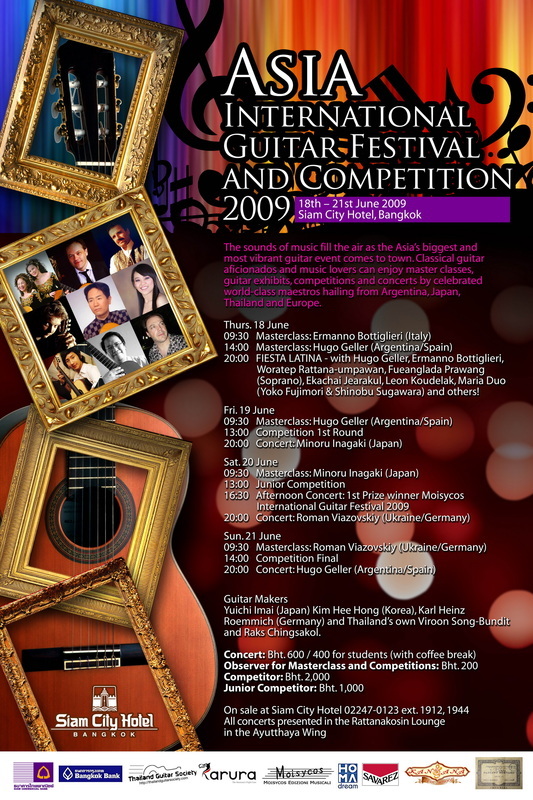 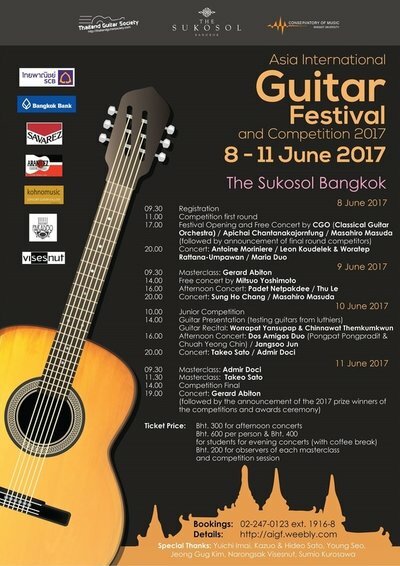 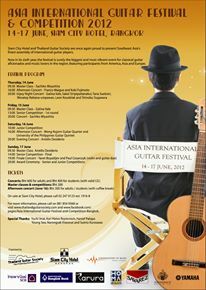 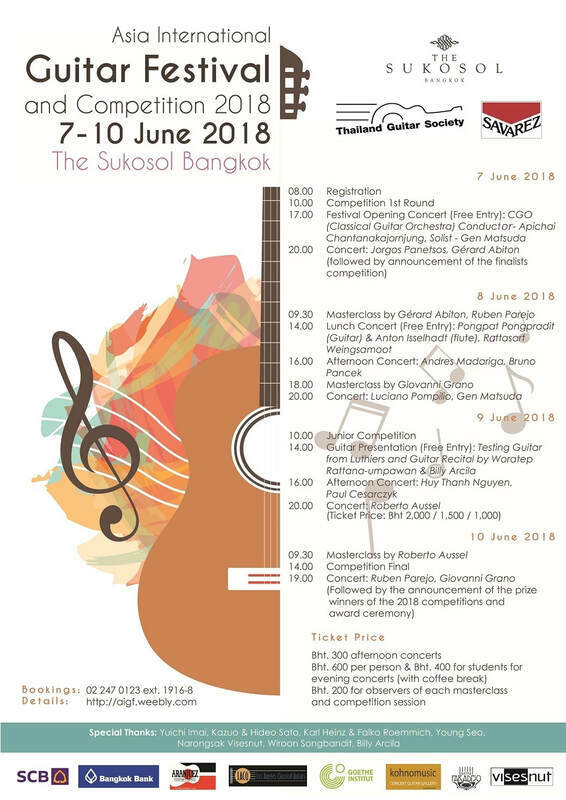 2008 the festival changed the name to "Asia International Guitar Festival & Competition" and is organized by the Thailand Guitar Society and the Sukosol Hotel, hold annually in June at the Sukosol Hotel (former name "the Siam City Hotel").